David Anderson is Vice President, Property Management of Slemon Park Corporation in Prince Edward Island. Prior to this appointment, he was Property Manager 2014-15. 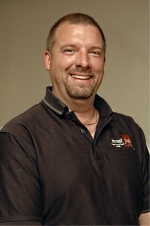 David served nine years as Managing Director of Resources West Inc., and is a current member and past president of the Rotary Club of Summerside, Director and Secretary of the College of Piping and Celtic Performing Arts of Canada, Past Director of the Tourism Industry Association of PEI, and a member of the Greater Summerside Chamber of Commerce.